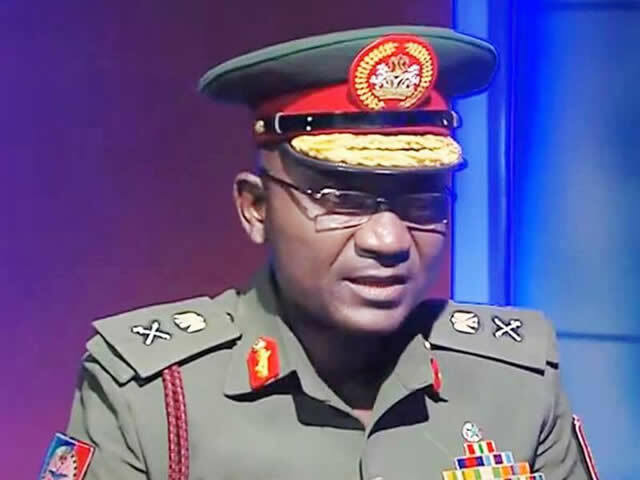 The Defence Headquarters, Abuja, said on Thursday that reports on terrorism and the Nigerian military attributed to the United States of America was for 2016 and should not be taken as the current situation. The DHQ said some people, who deliberately misinterpreted the report, wanted to pit the American government against the Nigerian military. The Director, Defence Information, Maj. Gen. John Enenche, said this on Thursday in a release. He said the US report was not for January to July 2017 and hence could not be taken as the current security situation. The US Department of State Bureau for Counter-Terrorism and Countering Violent Extremism had in the “Country Reports on Terrorism 2016” accused the military of not holding and rebuilding the North-East after clearing the Boko Haram terrorists, adding that security agencies failed to share intelligence reports on the terrorists. But Enenche said the work of “holding and rebuilding the North-East” as noted in the US report was not for the military, but for the state governments, paramilitary organisations and other stakeholders. He said, “Contrary to the picture given to Nigerians, the report did not cover only Nigeria; it included Niger, Cameroon and Chad. That is, it covered all the countries affected by Boko Haram terrorists’ menace. The report is not being objectively analysed by some mis-informers because of their ulterior motive. “The report was for 2016 and not January to July 2017. Hence, attributing the assertion that the military failed to hold and rebuild the North-East to be current is rather wicked and should be disregarded. After the decimation of the terrorists’ strongholds, other security agencies such as the Nigeria Police Force, the Nigeria Security and Civil Defence Corps have been taking hold of areas cleared by the military.” “Furthermore, rebuilding of civilian structures and institutions is not a military task. It is purely the responsibility of government of which a lot is being done. The efforts of Borno, Yobe, and Adamawa states are evident in this regard. Equally important are the efforts of the Presidential Committee on the North-East Initiative.” Meanwhile, the Nigerian Army on Thursday lashed out at the Ekiti State Governor, Ayodele Fayose, over his comments on corruption in the military and the upsurge of the Boko Haram terrorists, urging the governor to seek other avenues for his relevance. The Army’s reaction is contained in its official Twitter handle. It alleged that Fayose, who is the Chairman of the Peoples Democratic Party Governors Forum, had politicised security issues and military operations. Fayose had on Wednesday in a statement issued by his Special Assistant on Public Communications and New Media, Lere Olayinka, said the United States “Country Report on Terrorism 2016” and the Transparency International report revealed corruption in the military. Fayose had noted that it confirmed his earlier position that the President Muhammadu Buhari-led Federal Government lied to Nigerians that the Boko Haram terrorists had been technically defeated. “With over 120 Nigerians killed by the Boko Haram insurgents in Borno State last month alone, it is necessary for the Federal Government to face the reality that it has a very long walk to victory in the fight against the insurgents. The report by the US Government has further lent credence to earlier revelation by the TI that despite President Muhammadu Buhari government’s anti-corruption fight, corruption in the military is weakening Nigeria’s efforts to battle Boko Haram,” Fayose had said. But the army replied on its official Twitter handle that the governor was seeking relevance. “Governor Ayodele Fayose should stop politicising the military and military operations. Seek other avenues for your relevance. The army today is not corrupt,” the Army tweeted.